At a recent ClearlySo training session, an external speaker addressed the issue of ethics in business and how this is best reflected in the culture of an organisation. The discussion quickly turned to the case of the US firm Etsy, which is getting a lot of attention. A fast-growing impact enterprise, it was eventually floated on the Nasdaq stock market. Thereafter the share price fell, eventually precipitating a change in management and direction that challenged its culture and ethos. I can recall similar murmurings about the Body Shop after its sale to L’Oréal in 2006. Commentators were critical and argued that the culture of the firm changed after the acquisition. My own conversations with co-founders Gordon and Anita Roddick suggested that they felt the cultural change seemed to be an inevitable result of their earlier decision to float the business and bring in many new investors. Other successful impact enterprises were sold to larger entities with different results. The acquisition by Unilever of Ben & Jerry's seems to be a relatively successful acquisition. I lack knowledge of the transaction’s financial performance, but there seems to have been less of a culture clash. Maybe this stemmed from Unilever's existing values, or maybe acquiring Ben & Jerry's encouraged Unilever in that direction. Perhaps it was a bit of both. Acquisitions do not involve only such impact investment sector heavyweights. In fact, many ClearlySo clients have been acquired, although they are far less well-known. Such names include E-car, Wool & the Gang, Positive Ageing, Intern Avenue, Tyze and Epona Clothing. Some argue that the clashes don’t emerge after the acquisition, but start when firms take on external capital. At this stage they have essentially begun the inexorable path towards an exit – one in which the founders might feel that they have lost the ability to control the process. One solution is to consider external capital as inherently problematic and to avoid securing it. This will limit growth – and impact – in many circumstances unless the enterprise is highly profitable and/or does not require capital for growth, and/or does not seek to expand rapidly. However, for many of our clients, these choices are not available and investment seems the only way to achieve their desired growth and impact trajectory – avoiding investment is simply not a viable option. However, taking in such capital does require exit strategies, although the time horizon to achieve an impact exit will normally be longer than in traditional private equity investing. As a firm we believe that impact, growth and profitability are positively correlated, but if we seek to increase overall impact we need larger pools of capital, and this means impact firms must get comfortable with exits. Investors are different from grant-givers – they want to get their capital back, normally with an appropriate return. There are many ways in which to minimise the risk of a culture clash. It takes effort, however, and risk can be mitigated but not eliminated. Obviously, an intermediary such as ourselves has an interest in urging enterprises to get good advice as they embark on the path to accepting investment. A lot can be learned during due diligence. This exercise frequently seems to be one-sided, with investors subjecting investees to painful scrutiny. However, we would urge enterprises to invest the time and energy to learn about prospective investors or potential acquirers and make the process a two-way investigation. These investing and acquiring organisations have track records and histories, and these are astonishingly easy to access. They will have worked with other companies in the past, and the true nature of these investors/acquirers can often be can be ascertained by a few telephone calls. It is depressing how few take this step. Sadly, the consequences of this can be very serious and disappointing. 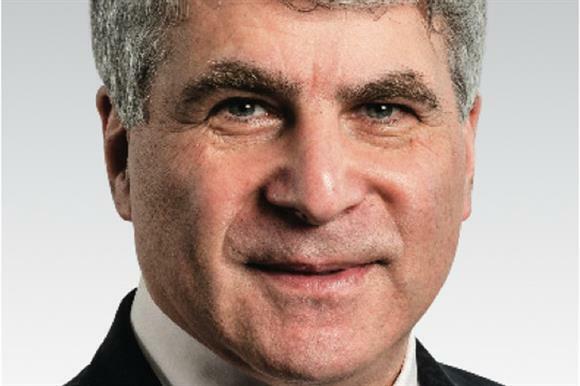 Rodney Schwartz: Impact enterprises will outperform. Why? Rod Schwartz: Is outsourcing the problem?